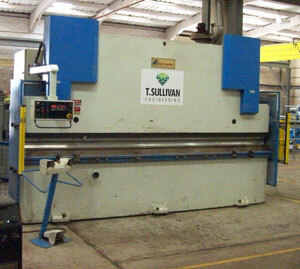 We have a Durma 4m long, 160 ton press brake. Please see chart for thickness capacity and lengths. 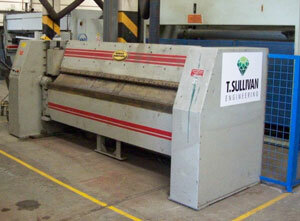 We have a Morgan Rushworth which is 2.5m long with a 4mm capacity in mild steel. The minimum leg length is X 10mm but able to bend all manner of items. Capacity: sheering 16mm over 4 Meters in mild steel. 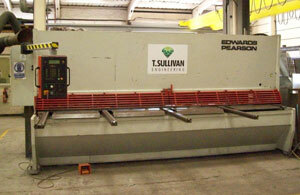 Edwards Pearson VR-H 4000mm x 16mm Shear, complete with a Cybelec DNC10 controlled programmable backguage. 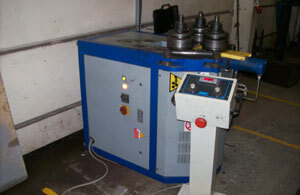 We have an SAF DS 60 HV ring roller, please see attached chart for the capacity’s of this machine. We are pleased to add another piece of plant to our production facility! 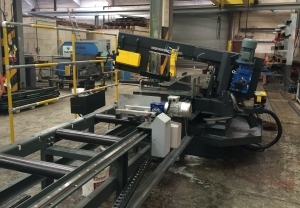 As well as maintaining our existing band saw cutting facility we have added a new larger capacity band saw to our capabilities, our new saw now enables us to cut steel work section up to 610mm x 360mm.